Hello. 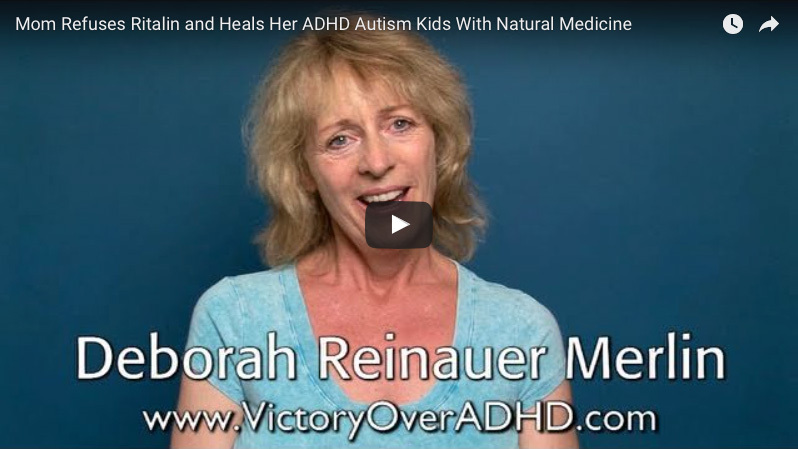 I am Deborah Merlin, the author of Victory over ADHD, a book that explains a holistic approach for helping children with Attention Deficit Hyperactivity Disorder. I’d like to share with you the struggles I had raising twin sons who were born prematurely and how natural medicine offered success after years of conventional medicine failures. Both of my sons received conflicting diagnosis by the time they were three-years-old. 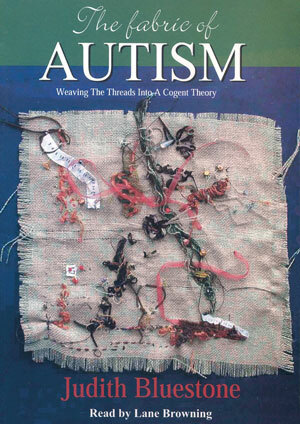 Their diagnosis included: high functioning autism, Aspergers Syndrome, pervasive developmental disorder, and Attention Deficit Hyperactivity Disorder. Their premature birth caused them to have speech delays, gross motor skill delays, and fine motor skill delays. Their ADHD symptoms included hyperactivity, a challenging time in completing tasks in school, speaking out of turn, acting defiant, and being spaced-out. They were also medically challenged with chronic ear infections, respiratory infections, asthma, and multiple environmental and food allergies. One of the boys also had facial tics, constant irritability, a violent temper with no impulse control, and seizure-like activity. Doctors, therapist, teachers, family members and friends insisted that we put our sons on stimulant medications to address their ADHD symptoms. The drugs they recommended included Adderall, Ritalin and Concerta. The doctors and therapists downplayed the side-effects of stimulant drugs. They told me that my children might experience a loss of appetite and have insomnia, but that those side-effects would pass after a while. My husband and I were opposed to giving our children stimulant drugs for many reasons. First, stimulants cause a loss of appetite, and since our sons were picky eaters and lower than average for weight and height. Stimulant medications can cause facial tics, and since one of our sons already had facial tics, using these drugs on him didn’t make any sense. ADHD drugs can stunt the growth in young children by preventing the release of growth hormones from the pituitary gland. But these drugs do not just affect physical growth; they can affect brain growth as well. Studies show that stimulants can cause a growing brain to malfunction and even shrink. It seemed to me that the side-effects of Ritalin and other stimulants would conflict with what is natural for a child’s growing body. All stimulant drugs cause constriction of veins and arteries, which can cause the heart to work overtime and lead to heart damage. It took me seven years of research and trying different modalities to find the solutions that finally helped my children heal. One of my twins had recurring ear infections and he had been prescribed 35 rounds of antibiotics before he was five-years-old. He was also hyperactive and would constantly spin his chair. The pediatrician recommended that we put him on a permanent low dose of antibiotics. It turned out that a diary allergy was the cause of the ear infections. Once dairy was removed from his diet his ear infections cleared and he never had another ear infection. The constant fluid buildup in his ears made him appear autistic since he was not hearing properly. After dairy was removed he no longer was hyperactive or exhibited autistic behavior. I started to buy organic produce and stopped feeding my sons anything made with artificial food coloring. This made a significant difference in their behavior. I went to an integrative medical doctor and he tested my children for heavy metal toxicity. The test results showed that they had high levels of lead in their bodies. Mercury was also present. The doctor prescribed chelation therapy and specific supplements to remove the heavy metals. In my opinion, all children who are exhibiting a neurological disorder should be tested for heavy metal poisoning, for research estimates that lead toxicity is responsible for 21% of ADHD cases in the United States. One of my twins was always irritable and had a violent temper with no impulse control. As he got older, his facial tics were becoming more severe. He was failing in school. Our integrative medical doctor ordered a Qeeg and we learned that my son was having seizures! A Qeeg is a quantitative computer analysis to measure brain electrical activity. Studies show that up to one third of children with ADHD, autism and other neurological challenges are having brain seizure activity. Depakote is an anti-seizure medicine that would be the typical treatment for brain seizures. However, since Depakote has many serious side-effects, our integrative medical doctor was reluctant to prescribe it. Instead our doctor ordered an amino acid panel and found that my son was deficient in several amino acids. Amino acids are the building blocks of neurotransmitters in the brain. Shortly after my son started on the amino acid supplements, his facial tics stopped, his violent behavior went away, his seizures disappeared, he became happier, and remarkably, he went from failing in school to getting A’s and B’s in school. The results were breathtaking. Since an apple does not fall far from the tree, I thought it would be a good idea to have his brother and I tested as well. As it turned out, we were also deficient in amino acids and we too had great results once we started taking amino acid supplements specific to our deficiencies. 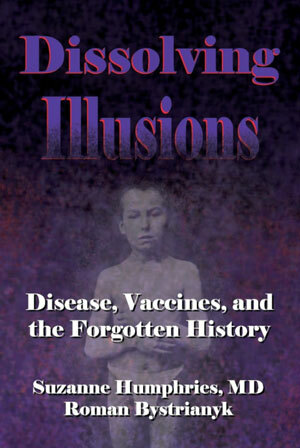 Ultimately, it was alternative medicine and dietary changes that healed my children of brain seizures, frequent respiratory infections, heavy metal toxicity, facial tics and the symptoms of Autism and ADHD. I wrote my book to share my story because there is a huge learning curve for parents who have children with neurological challenges. Parents have a right to know about the alternative modalities that can heal their children. Victory over ADHD covers my children’s story, as well as my own story of growing up and being afflicted with Attention Deficit Disorder. 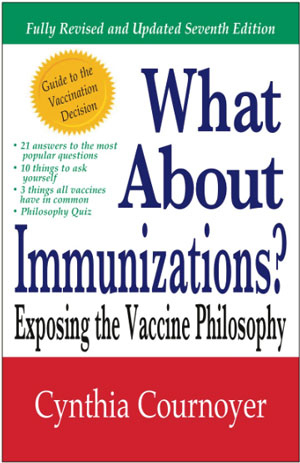 Sixteen alternative health care professionals contributed their expertise to my book. 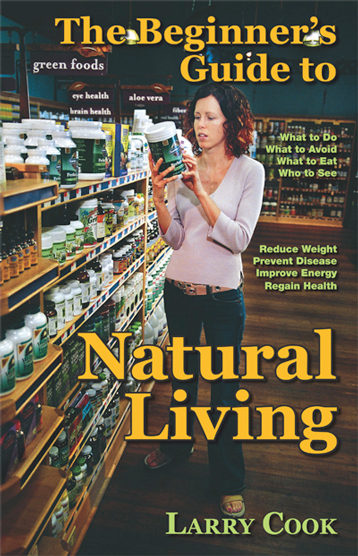 Their writings cover the causes and natural solutions to treating ADD and ADHD. I also include resources for laboratories and recommended supplements. There is hope for recovery. If I could do it with my children, you can do it with yours. If you’d like to learn more about natural solutions for ADHD, Autism and other neurological challenges, please visit my website VictoryOverADHD.com.